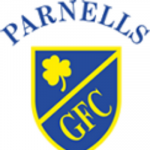 Parnells Senior were scheduled to play their first game of the season, for championship seeding v Cu Chullainns but were given a walkover. Congratulations to the U17’s who reached the final of the London Development League blitz at Greenford. Unfortunately the game did not reach a conclusion due to flood light failure and had to be abandoned. Seniors and U14-U17 on a Tuesday at Whitmore High School, Harrow. Contact Dennis Diggins 07768 352680 (Senior), Tony Griffin 07966 160999 (Youth U14-U17). Winter Training for U6 – U10 has now finished, outdoor training information to be announced shortly. Last session for the U12/14 Girls taking place 28/3/2018. The club would like to extend their sincere condolences to Tommy Donoghue on the recent passing of his mother, Agnes Donoghue (aged 99), hailing from Cappatagle, Co Galway where the funeral recently took place. Also, sincere condolences to the family of Kevin Kelly who passed away after a long and brave battle with cancer. A stalwart in the GAA community who will be hugely missed. The club would like to wish everyone a Happy Easter, enjoy the break.